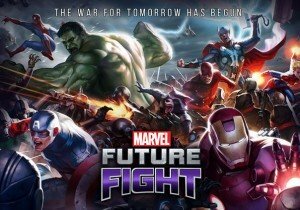 MARVEL Future Fight, the blockbuster Mobile Action RPG from leading Korean gaming company, Netmarble Games, has released the newest update featuring ferociously frightening new characters, new sets of creepy costumes and more. Hot off the heels of MARVEL Future Fight’s latest update for Marvel’s Agents of S.H.I.E.L.D., the brand new update The Perfect Halloween introduces three brand new characters, Lash, Warwolf and Elsa Bloodstone into the fray, just in time for Halloween. Along with these fearsome new characters, six more characters will also receive new uniforms including Blade, Ghost Rider, Punisher, Black Cat, SPIDOC and a Marvel’s Agents of S.H.I.E.L.D. variant of Lash. As Halloween is approaching this weekend, players will be able to immerse themselves into an appropriately themed in-game event stage. MARVEL Future Fight story missions will be decorated for Halloween, while villainous bosses such as Venom and Green Goblin seek to wreak havoc on the universe. Six star skill sets have also been added for Super Heroes such as Punisher, Black Bolt and Thor to help defeat these brand new threats. New Uniforms: Six characters will be receiving a mix of modern and classic new uniforms including Lash, Blade (70’s Classic), Ghost Rider, Punisher (Noir), Black Cat (Claws), and wait until you see the SPIDOC variant of M.O.D.O.K! Turbine has announced the Harvestmath Festival has begun in The Lord of the Rings Online.